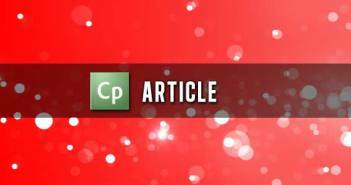 Adobe Captivate 4 allows designers to access and modify a variety of System Variables to add extra functionality to their projects. I haven’t seen a full list of all the Captivate 4 variables anywhere so I decided to post one here. February 24, 2009 8 Adobe Captivate 4 – 1 month evaluation. I have been using Adobe Captivate 4 on a more or less daily basis since it’s release on January 20th. One of the things I really love with Adobe Captivate 4 is the speed. In Adobe Captivate 2 & 4 you often had to wait several seconds after clicking on an action until something happened. Now with Adobe Captivate 4 everything goes quickly and smoothly and that is really something you can feel when you work with Adobe Captivate all day. One of the most common questions I read on forums and blogs is how you can track your Captivate projects if you don’t have an LMS. There are many different ways of doing this and it also depends on what you want to track. If you want to track which users complete your course, their score, time used etc. then you are looking at a rather complex scenario. One of the most important things when working with Adobe Captivate is to keep an eye on the file size of your finished project. It’s easy to sit and design a stunning course using high-res photos and custom graphics, but some tend to forget that the end-user of the product might not appreciate the increased loading time. Luckily it is still possible to produce visually stunning courses and still keeping the file size down to an acceptable level.